When the Boston Red Sox faced the New York Yankees in the historic 2003 American League Championship Series, the meeting seemed to serve as the climax to perhaps the greatest rivalry in professionalsports. When the Boston Red Sox faced the New York Yankees in the historic 2003 American League Championship Series, the meeting seemed to serve as the climax to perhaps the greatest rivalry in professional sports. 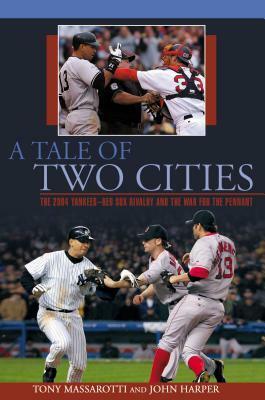 Yet, following New York’s comeback victory in scintillating Game 7, both the Red Sox and Yankees entered the off-season without a world title–and with renewed conviction to finish the job in 2004.In A Tale of Two Cities, respected baseball writers John Harper (New York Daily News) and Tony Massarotti (Boston Herald) chronicle the Yankees and Red Sox in parallel story lines through the summer of 2004. The authors take you behind the scenes with the teams, cities, and media during one of the most intense baseball seasons in history.